Whitening your teeth at home is a relatively simple process. Choices found on the shelves of your local grocery store from strips, gels, toothpastes to whitening rinses make the process much easier. Before you head out to the drugstore, have a quick read through of some things you should know to be certain you’re whitening your teeth safely. 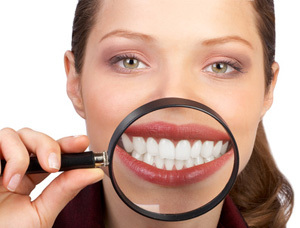 Safe teeth whitening is of utmost importance to prevent permanent damage to your teeth and gums. Not all home whitening products are created equal and should be used with care. Safe teeth whitening begins with reading all directions before using a product, including any warning labels. Peroxide is the main ingredient used in gels and strips and the concentration of this ingredient varies between products. Start with a concentration level in the middle range to see if you can tolerate the whitening treatment before you commit since some kits recommend using the product for up to twelve weeks. Follow all label directions closely as leaving the whitening product on for longer than the recommended time guidelines may cause tooth sensitivity and inflame your gums. Although some tooth sensitivity is expected, if you experience inflammation of your gums or extremely sensitive teeth, discontinue the treatments immediately and visit your dentist. Practice safe teeth whitening habits by not over-using any type of whitening product. Over-use of tooth whitening products presents the risk of permanent damage to teeth and gums. Once you achieve your desired shade, reduce your treatments to one or two times a year to maintain the desired shade. Maintain your bright white smile by avoiding coffee, teas, and dark sodas. This simple rule, along with using a mild whitening toothpaste in your daily dental routine, lengthens the time between whitening treatments. Schedule a visit with your dentist before beginning any whitening treatment to ensure your teeth and gums are healthy enough to withstand the treatments and to check for cavities or gum disease. You should not begin any treatments if you have gum disease present. Delay whitening your teeth if you are pregnant or nursing as whitening is not recommended while pregnant or nursing. Thorough cleanings at your dentist are still important as gels and strips do not clean or whiten between teeth and only whiten the front surfaces. If you want whiter teeth in a shorter amount of time, find out about a professional whitening treatment.